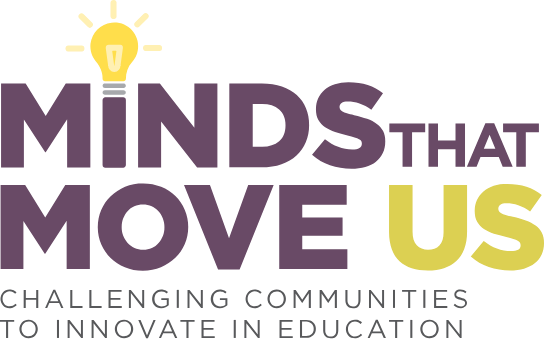 Join us for the first-ever Minds That Move Us Adult Career Pathway Festival where ten teams from around the country will pitch innovative education and training models that create social equity and economic mobility for youth and adult learners for a chance to win $100k! The Festival will be an entertaining cross between Shark Tank and America’s Got Talent, in which teams will present to a panel of judges and an audience comprised of adult learners, employers, practitioners, policy makers, funders, friends, and family who will vote for and donate to their favorite idea. The Festival will also feature interactive workshops to help attendees launch, support, and/or replicate the ideas they’ve heard. So, don’t miss your chance to learn about promising practices that will advance the field of adult career pathway programming! Grass Roots Press has an international reputation for publishing high-quality resources for adult basic education and English as a Second Language communities. 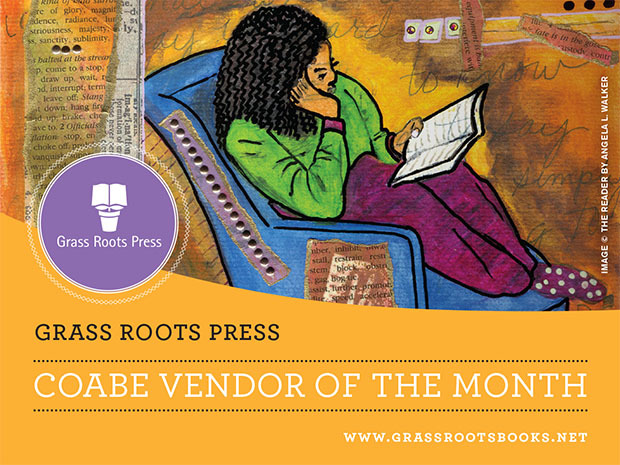 Grass Roots Press carries over 500 books, DVDs, and software packages. We publish assessment tools, workbooks, photostories, biographies, and literature -- publications that enhance adults' literacy skills. Our biographies and photostories are available as eBooks from the following retailers: Kobo, Amazon, iBooks, Nook Books, OverDrive, and MyiLibrary. You can also stock up on the Good Reads, Pathfinders and Anna Sweet titles for only $2.99 per eBook. To enrich the teaching and learning experience, we provide FREE audiobooks, workbooks and reading guides. We know that educators are stretched for time, so we will continue to supplement our books with free lesson plans. Just click on a cover image to access the free downloads. Stay up to date with what is happening with COABE by reading the February 2019 issue of the COABE membership update. I am delighted to share that our incoming president, Dr. Don Finn, and I had the pleasure of meeting with the leadership of SkillsUSA at their headquarters in Virginia to discuss a wonderful partnership with them! 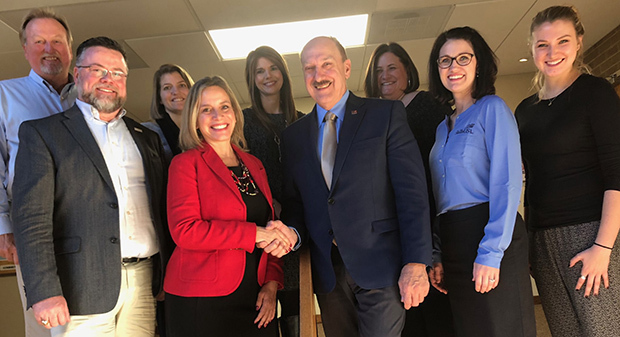 We anticipate that this new partnership will yield a great return for the field of adult education and, most importantly, for our shared adult learners. You will have the opportunity to hear from their CEO, Tim Lawrence, at our general session at the COABE national conference on April 2, 2019. Be sure to stop by their booth and introduce yourself to their leadership! We are also partnering with industry giant, Amazon, to provide access to well-paying jobs with good benefits and college tuition payment options for graduates of our adult education programs. If you missed the special webinar with Amazon detailing this new initiative, please contact our office for details (info@coabe.org). In the meantime, stay tuned for more exciting updates that will highlight Title 1 and Title 2 national organizations working together for the good of the field. Many frontline workers say the workforce development and job training programs available to them aren't relevant, and most workers don't have the capacity to complete these programs for degrees or certificates. Adult education providers worry a lack of data and data analysis capacity inhibits staff from evaluating and improving their services. Employers worry about the longevity of a company with high turnover rates, record low unemployment rates, and an absence of a talent pipeline. Digital Promise just launched "Tapping Data for Frontline Talent Development" a new, interactive report that shares how the seamless and secure sharing of data is key to creating more effective learning and career pathways for frontline service workers. Not only can data sharing help to improve programs and services, it can create more personalized interventions for education providers supporting frontline workers, and it can also improve talent pipelines for employers. The research included in this report was made possible through funding by the Walmart Foundation. We Need YOUR Help to Support Adult Education! While portions of the federal government may have just reopened, preparation for the FY 2020 funding cycle are already well underway. As we mentioned in our last note, we need your help to send a “program letter” request to each member of the House of Representatives in which your adult education programs are located and to both of your Senators. YOUR ASSISTANCE IS CRITICAL...as each year, program letters are sent by each member of Congress to the appropriations committee, and these letters highlight the federal programs that are a priority for funding to the member of Congress. WE NEED YOUR HELP to encourage your members of Congress to make adult education one of their priorities for funding, and you can do so with only three clicks by using our “quick fire" Ignite software to send an email to all your legislators in the House and Senate. You will find a draft letter of support on Ignite. Please tailor this letter by including relevant data and/or information on how your program is making an impact in your state. YOUR HELP IS NEEDED NOW...as the deadline in many Congressional offices for such input from constituents is creeping up fast – some offices begin closing constituent input as early as February 1st. THANK YOU FOR YOUR SUPPORT OF ADULT EDUCATION! Delta Air Lines is pleased to offer special discounts for Coalition on Adult Basic Education. booked and ticketed via our reservation 800 number. United Air Lines is pleased to offer special discounts for Coalition on Adult Basic Education. Tell New and Returning Members of Congress that Adult Education is Important. Thank you for your assistance this past year in helping raise the visibility for adult education programs, which resulted in a $25 million federal funding increase in FY 2019 and staved off $87 million in funding cuts! We need your help again this year, in a challenging funding environment and with a divided Congress, to tell our adult education stories, including the impact of its programs. As the new Congress gets underway, the appropriations committee is preparing for the FY 2020 funding cycle. One of the most effective ways to raise the awareness of adult education with your Congressional delegation is to send a “program letter” request to each member of the House of Representatives in which your adult education programs are located, and to both of your Senators. 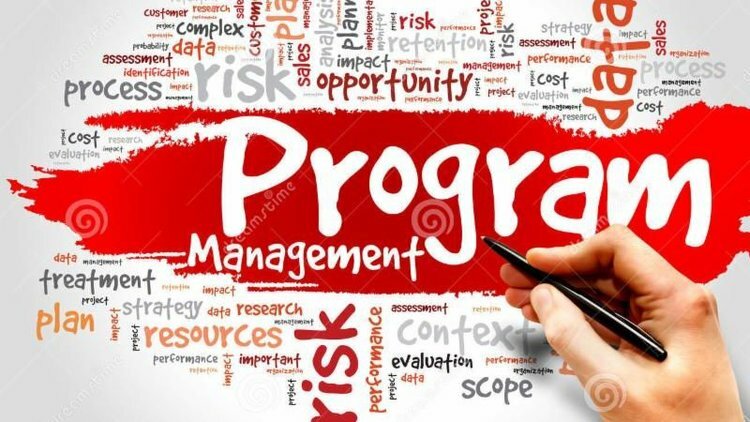 Program letter is a technical term for a letter ultimately sent by each member of Congress to the appropriations committee in support of his or her own priorities for funding. Members of Congress appreciate receiving input from their constituents before sending their program letters to the appropriations committee to gain a better sense of which programs matter to their district. Most members are currently accepting this input, either via letter or through a web form on their websites. The time frame for these program request letters is tight. While the exact timetable has yet to be announced, members of the House and Senate must submit their letters to their respective Labor-HHS Appropriations Subcommittees, which fund adult education, before the end of March 2019. To meet the appropriations committees’ deadline, members set their own internal timelines for receiving feedback from constituents about funding priorities sometime in January or February, so we ask for your immediate help. Please use our "quick fire" ignite software to send an email to all your legislators in the House and Senate. It takes just 3 clicks to do this and reaps incredible results. You should feel free to tailor this letter by including relevant, state-level data that highlight the impact adult education programs have in your state. Our legislative firm encourages you to avoid mailing letters because they will take weeks to arrive due to security screening of the mail. Our ignite software also provides the option to call the offices of your Congressional delegation, and we hope you will take a few minutes to call as well as send the email. Again, thank you for your assistance in this important matter. Join us for free webinars on the topic of integrated education and training. BE THE KEY THAT OPENS THE DOOR FOR YOUR STUDENTS–CAREER PATHWAYS ARE LIFELINES FOR THEM! This webinar will explore the numerous ways career pathways can be designed and implemented to comply with WIOA regulations. From bridge programs to Integrated Education and Training (IET), the components that contribute to successful programs will be discussed, including understanding employer measures and using Labor Market Information (LMI) to build —or enhance—your career pathways program. Learn how to incorporate strategies for adult career pathways into your instructional program using contextualized curriculum. This webinar will define specific lessons, strategies, and activities that can be implemented in your classrooms to give your students the career counseling they missed when they left school. You are their career counselor. WIOA expanded the purpose of Title II to include assisting adults to transition to postsecondary education and training leading to employment. Adult educators are tasked to develop and deliver adult career pathways systems that will successfully transition low-skilled adults to postsecondary education and employment. Our classrooms are now a place where students learn not only the academics for credential success but also the workforce skills for career success. How do standards help improve teacher effectiveness and guide professional learning? Learn how AZ's Adult Education Professional Learning System (AAEPLS) is designed based on the Learning Forward Standards for Professional Learning, the AZ Adult Education Teacher Standards, and the AZ Adult Education Content Standards. These sets of standards are used to guide the planning, implementation, and evaluation of professional learning at the state and local program levels. This webinar will help adult educators-especially professional developers and administrators- to build a professional learning system to support the needs of adult educators. We’re pleased to announce a new program designed to grow the leadership skills of professionals working in postsecondary career and technical education (CTE). The Postsecondary Leadership Success Program by ACTE — Sponsored by ECMC Foundation (PLSP-ECMCF) will cultivate the next generation of career and technical educators and administrators heading up programs in their institutions. We believe by having participants from your state apply and be selected to participate in the program has the potential to help strengthen the relationship between postsecondary CTE professionals and your state association. Participants will be introduced to the professional development and networking that you provide throughout your state and encouraged to become actively involved in your association. Please alert your postsecondary CTE contacts about the program and the deadline to apply by February 3rd. If you have questions about the program or how to promote it to this audience, please don’t hesitate to contact Lauren Fillebrown for assistance. With COABE's support, the NLD will send a representative from two organizations to the 2019 COABE Conference in New Orleans (March 31—April 3, 2019). This innovation grant will include registration costs and a $1,000 travel stipend. The 2019 COABE Conference will explore innovative strategies, tools, and best practices in adult education. The deadline for applying is January 28, 2019. Apply today! With the COABE/Learning Upgrade App Launch Competition, COABE members had exclusive access to a no-cost license for adult educators during fall of 2018! COABE members accessed Learning Upgrade’s innovative ESL, ABE, and GEDⓇ/HiSETⓇ math courses! As a result, there are over 50 active pilot programs, with learners completing lessons all across the country! Congratulations to the college and their students! Learning Upgrade is a finalist in the Barbara Bush Foundation Adult Literacy XPRIZE. The mobile app features 960 CCRS-aligned lessons which learners can use on smartphones, tablets, Chromebooks, or computers to complete lessons anywhere and anytime. COABE will be competing in the XPrize competition. Stay tuned for the exciting details. of the Alliance for Freedom, Restoration, and Justice®, created for you because being well-equipped is critical to the movement to end human trafficking. COABE is partnering with AFRJ on this important initiative. Now you can...Build your knowledge and understanding about the issues, so you can act strategically and make lasting change. Justice U brings you a user-friendly online learning site, designed to help every learner build and verify critical knowledge and skills to end human trafficking and protect the vulnerable. Here is how to get started with Justice U. Go the next step and earn a digital certification. When you complete the full series and earn all three course badges, you will receive the Justice U Human Trafficking Awareness and Strategy Certification. Pre-register in January for 20% off the regular $50.00 series price. Be sure to forward a copy of your registration to COABE to be included in a raffle for a $500 Amazon gift card. NOTE: If receiving this message through COABE, be sure to choose COABE on the registration page to note how you heard about the series. Looking for more ways to get involved with Justice U? Under limited supervision, supervises the administration of the Adult Education Services Department, including the Adult Basic and Literacy Education (ASPIRE) Grant, the IELCE/ESOL Grant, the IELCE/IET Grant the HSE and GED Testing Program, the Workplace Education Program, the Cuyahoga Works Job and Career Center, Project Learn’s Adult Basic Literacy Programs and the Pearson Vue Testing Center. The 116th Congress convened, and for the first time in eight years, Democrats controlled the House of Representatives. Nancy Pelosi (D-CA) was elected Speaker of the House which marks only the second time in history that a former Speaker has been re-elected after losing the majority in his/her previous tenure. 63 new Democrats and 37 Republicans began their first term in Congress, which is the most diverse in history and includes over 100 women. Speaker Pelosi and other Congressional leaders from both parties met with President Trump met this morning to discuss how to end the current partial government shutdown, but little progress was made on finding a solution for funding a wall along our southern border, which is the key sticking point to ending the current government shutdown. There will be staff negotiations over the weekend in the hopes of finding a compromise that will reopen federal agencies that have been closed as a result of the partial shutdown. The first order of business for the new House Democratic majority was to address the shutdown by passing a FY 19 spending bill that would provide funding for the rest of the year for agencies impacted by the partial government closure, as well as reopen the Department of Homeland Security through early February while negotiations over the wall continue. However, Senate Majority leader Mitch McConnell (R-KY) has indicated that he will not bring the bill to the Senate floor as President Trump opposes it. As a result, the shutdown could continue for the foreseeable future. Thankfully, the FY 19 Labor-HHS appropriations bill, which provides funding for the Department of Education was enacted in October and as a result, adult education programs are not impacted by the partial shutdown. On the administrative side, the first order of business for the new Congress is the assignment of Members to Congressional Committees. The House is expected to make Committee assignments this coming week. In addition, Rep. Bobby Scott (D-VA) was chosen to become the Chair of the newly renamed House Education and Labor Committee. While most of the attention this week has been focused on the Democrats takeover of the majority in the House, the Senate announced yesterday its preliminary Committee rosters for the new Congress, which will be made official later this month. Please find the list of the Members on key Senate Committees below. The HELP Committee welcomes two new Republican Senators, Mitt Romney (R-UT) and Mike Braun (R-IN), following the retirement of Orrin Hatch (R-UT) and departure of Todd Young (R-IN), who has moved to the Finance Committee. The Democrats have added Jacky Rosen (D-NV) and lost Michael Bennet (D-CO). There are no changes to the Appropriations Committee lineup from the previous Congress. Lastly, Agriculture Committee Chair Pat Roberts (R-KS) announced he will not run for re-election in 2020 after serving four terms in office. Click button below to take action today! As we head into the new year, I want to take this opportunity to thank you for your membership in our organization, the Coalition on Adult Basic Education (COABE). As our membership grows, so does our impact! We came together in solidarity and were able to not only stave off proposed funding cuts, but also move the needle for increased funding (a feat we had not seen in many years)! As a field we were able to gain long overdue recognition from legislators, funders, and business and industry as we showcased the value and benefit of our services through Educate and Elevate, the 8 time award-winning public awareness campaign that so many of you participated in at the local, state, and national level. Thank you for taking action and working along side our organization to impact legislation and funding! This year also saw the launch of our new adult learner membership option, the new student led Ambassador Program which has been adopted in 18 states, and the new "Student Voice" strand at the COABE conference! All of these were "firsts" for our field and for our organization, and as yet another first, we have set up membership so that it is now FREE to all adult learners. We encourage you to onboard as many adult learners as you would like, so that we can even more effectively raise our voices together for adult education. We also met together frequently, in numerous settings, to tune up and add to our skill set as we learned from each other in various settings including the 50+ webinars on a myriad of topics over the past year. Many of these opportunities were provided free of charge, with thanks to our partners and funders who generously sponsor our efforts such as the Manager Mondays which focused on giving local program administrators the skills they need to effectively run their programs, the topical monthly webinars, the virtual conference, and of course our signature national conference which features the greatest "coming together" in the field of adult ed! We are also truly grateful for the 36 national strand partners and 47 state partners who contribute to the success of the conference. We hope that you too participated in a few of the professional development opportunities developed by and for our members. As well, I want to encourage you to register for the 2019 COABE Conference and make your hotel reservations as quickly as possible to ensure you have a room at the conference. We anticipate this will be our largest conference yet! Also this year, we launched the newly rebranded and revised COABE Journal which focused on Career Pathways and also provided a way for our members to share best practices, research, and view point essays. So many of you contributed in various ways, and I want to thank our managing editor, Judy Mortrude, our journal chair and president elect, Dr. Donald Finn, and our dedicated staff for working closely with me on this exciting endeavor! I also have the distinct pleasure of welcoming to the fold our first international large group membership, which is comprised of all the adult educators in the country of Kenya! The Secretary of Education contacted COABE, wanting to form a partnership after seeing our Educate and Elevate public awareness campaign. In the coming year, we also hope to focus on a number of new initiatives, including our new Prison Literacy Initiative and our Workforce Initiative. Stay tuned for exciting updates! In closing, on behalf of our dedicated Board, led by Board President, Kaye Sharbono, and our dedicated staff, I want to wish you and yours a happy and prosperous New Year! Stay up to date with what is happening with COABE by reading the January 2019 issue of the COABE membership update. Join The Adult Numeracy Network (ANN) for a full day of professional development at the COABE National Pre-Conference on Sunday, March 31, 2019. The agenda for the day will focus on unmasking our students' potential to learn mathematics that will prepare them for success. The theme of the day is: Revealing a Path from Basic Math to Algebra. Bring a team in order to create a shared language and experience around math learning and instruction. Register for the pre-conference at: COABE Conference Registration Page. ANN is a strand partner of COABE. In January 2018, COABE rolled out an adult learner initiative with the intent of maximizing the voice of adult learners at the federal level. We invite you to bring adult learners with you to the conference so that they can enjoy the adult learner strand and award-winning national level ambassador program. The Martin Luther King Jr. Memorial Library having identified lifelong learning as a priority, has a vital role to play in addressing the serious literacy needs in the city. That role includes maintaining a strong presence and leadership position in the city's long-range literacy initiative and in the network of D.C. and metropolitan Washington adult literacy providers. The Library system comprises the Martin Luther King Jr. Memorial Library (the downtown central library) and 25 neighborhood libraries. The Adult Literacy Resource Center (ALRC), a public service unit, provides literacy resources for adult developing readers, literacy practitioners and program managers, private and public agencies, and DC Public Library staff.